When I was a kid I used to save my Halloween candy for ages. In October, I would still have candy leftover from the last Halloween. Not that I didn't like candy, I was just into saving things. Now that it's been almost a week since Halloween, I'm not sure whether or not most homes are devoid of candy. But, if you do have leftover candy, why not use it to make some homemade magic shell (you remember- the chocolatey syrup that hardens into a shell on ice cream)? It's so easy to make! 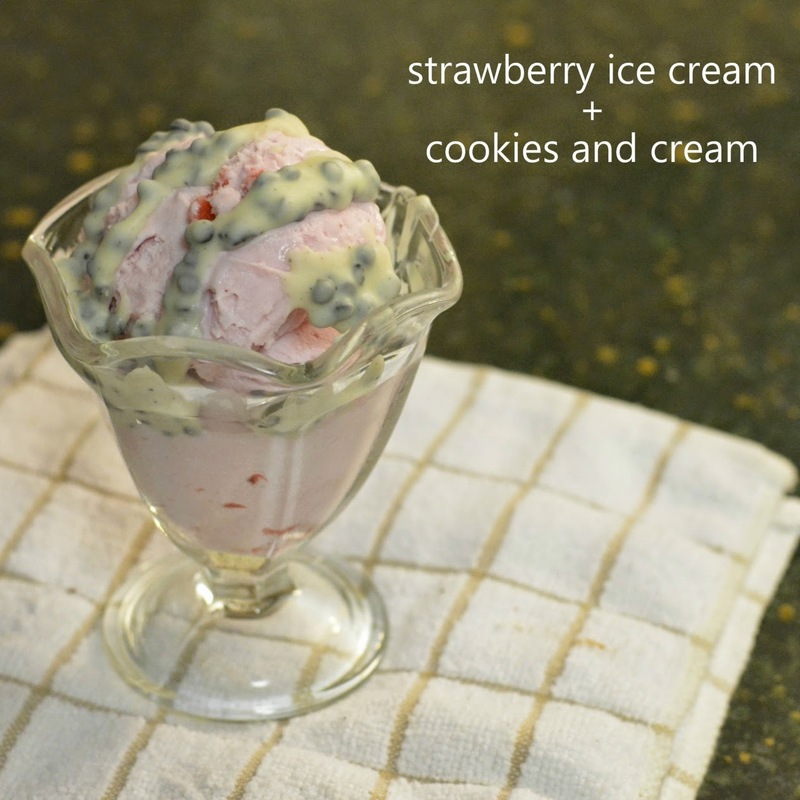 Instructions + 3 delicious ice cream/candy combinations below! This recipe really couldn't be more simple. Makes enough for 1 ice cream sundae. All you need is candy and a little bit of coconut oil. In a small microwave proof bowl, place 2-3 mini chocolate bars. Melt in microwave (about 18-20 seconds). Add a tiny bit of coconut oil, I didn't measure but I only used about 1/8 of a teaspoon. (Otherwise the taste of the coconut oil will overpower the chocolate.) Stir in the coconut oil and heat in microwave for a few more seconds until melted. Stir again. Drizzle over ice cream! Strawberry ice cream with a cookies and cream chocolate bar may sound like an odd combination but it was actually my favorite! 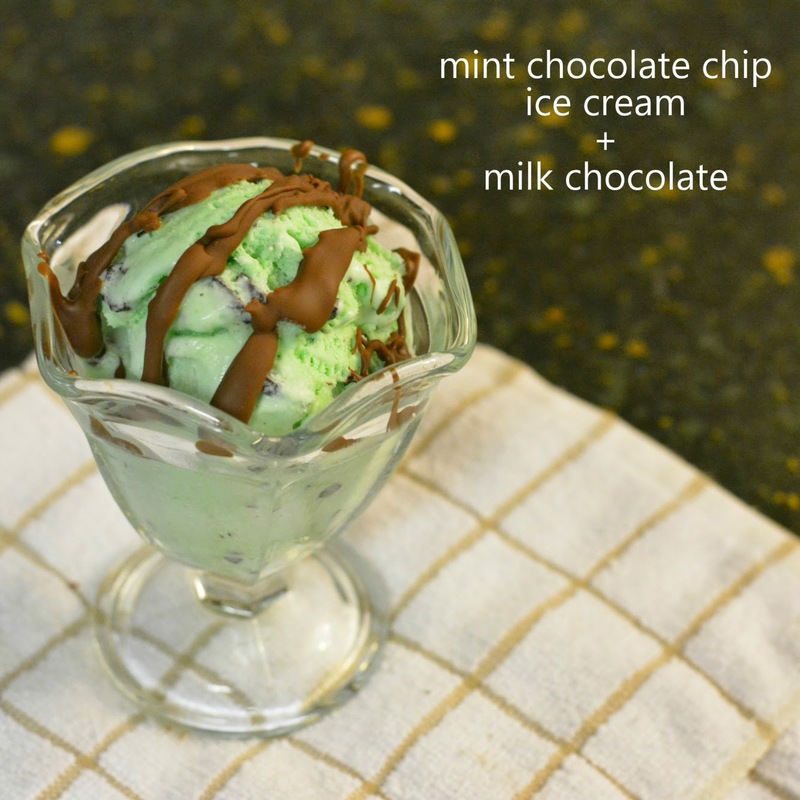 Mint chocolate chip ice cream with a classic milk chocolate bar (like the original magic shell). I actually would have preferred to use dark chocolate if I had any on hand but decided it wasn't necessary to buy more candy right after Halloween. This was still delicious! 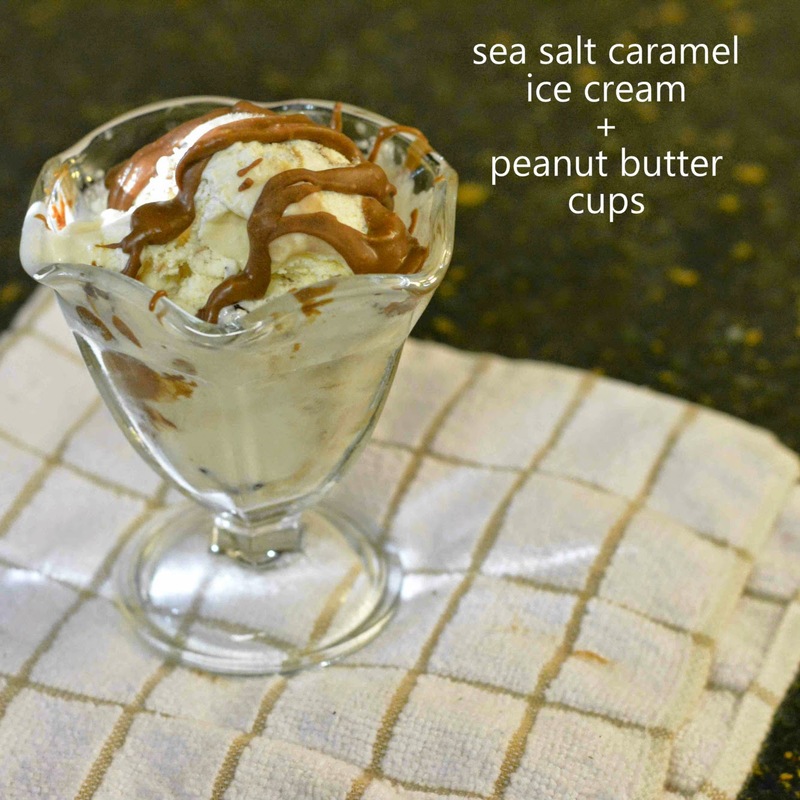 Sea salt caramel ice cream with peanut butter cups. The sea salt and peanut butter go together perfectly! What's ice cream and candy combination would you choose? I forgot how much I liked those cookies and cream bars! I hadn't eaten one in years.